Just like a birthday without a cake isn’t a birthday, an anniversary without a celebration is… well, just an ordinary day of work. 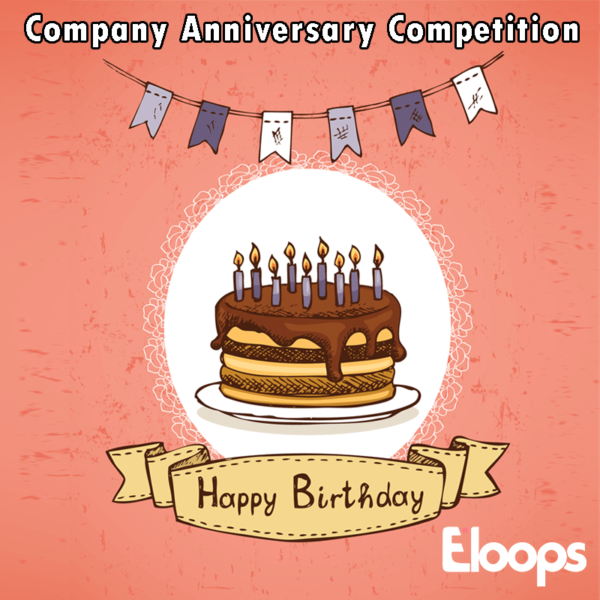 Celebrate your company’s anniversary by engaging all your employees — no matter where they are — involved in a fun and competitive trivia game that tests them on the company’s history, values, little known facts and even secrets. After downloading the Eloops app branded for your company and tailored to your trivia game, your group is divided into smaller teams based on preferences you set or automatically by tags or company divisions. Every day, employees receive different virtual challenges that they can complete individually or together in groups and up to five trivia questions, which they’ll have to answer by selecting the right choice, by entering an answer or by uploading a photo that answers the question. Scores are based on how many the players get right and how long it takes to complete each question or challenge, and they can be determined per individual, group or any other division you choose. All photos, videos and moments are captured in the app. In addition to downloading, printing or displaying these, game administrators can also track progress, send updates, view real-time statistics as well as a feed aggregating all groups and control every aspect of the game. This game can be custom-built based on company requirements or created using Eloops’ premade templates.